Most days you can find me scarfing down lunch at my desk, in between meetings and co-workers popping in and out of my office. But the warmer temperatures bring a slew of welcomed changes to my world, chief among them being longer, leisurely lunches (preferably al fresco), whenever possible. 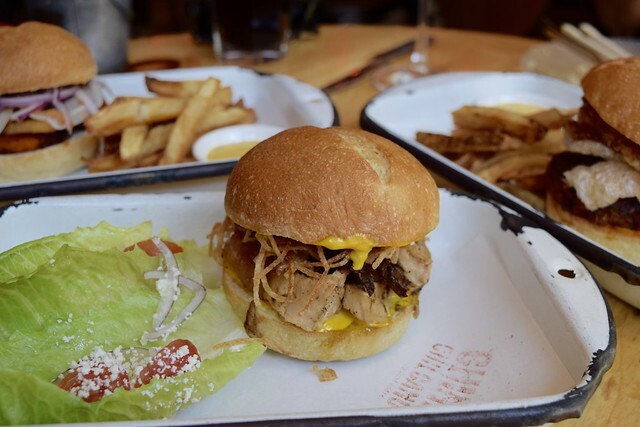 I’ve worked in Penn Quarter for the last three years, so one would assume I have hit up every fast casual and sit down lunch option in the neighborhood, but the truth is, I don’t think to go to some of my favorite dinner or happy hour spots for lunch. China Chilcano falls squarely into this category. Last Friday was the perfect day to break that streak. 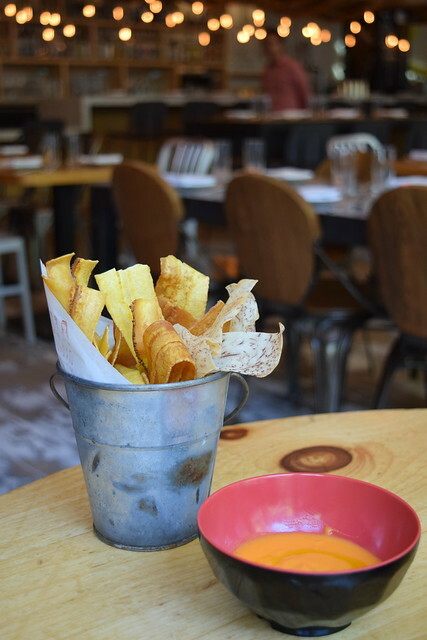 We enjoyed a leisurely and gluttonous lunch at China Chilcano packed with Donburi bowls, plantain chips (one of my favorite transplants from their dinner menu), sánguches, and dessert. 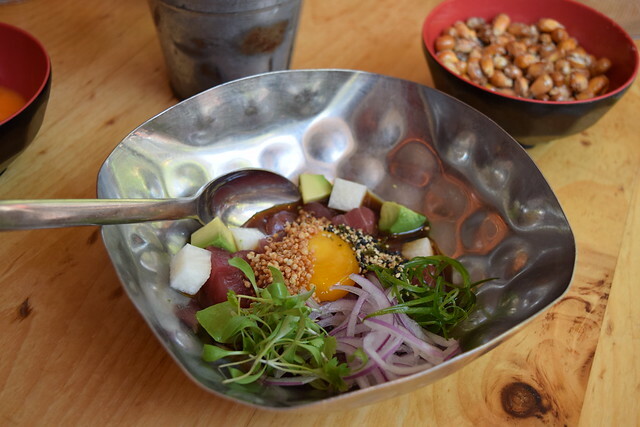 Before we dove into the bowls, the Ceviche Nikkei arrived with big eye tuna, a soy-cured egg yolk, ponzu, puffed quinoa, avocado, jicama, red onion, and furikake. My lunch date scrambled the egg and we dove into the fresh, juicy flavors bite for bite. If you are not a fan of raw food, this is not the dish for you, but if you’re adventurous eaters like us, this ceviche is a can’t miss menu item. 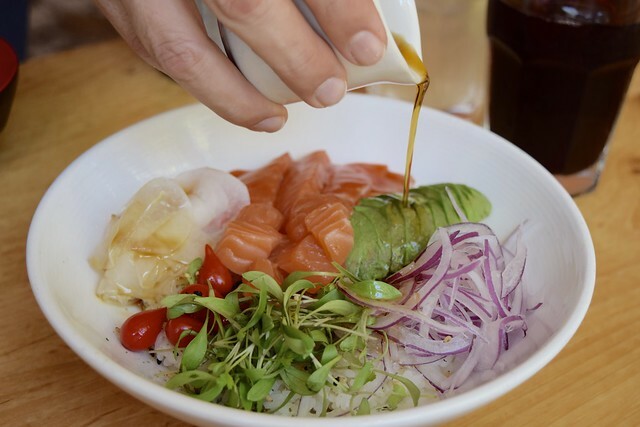 We were impressed with the flavorful Donburi bowls and equally as surprised to see their price point—for no more than $12 (the cost of a salad from any reputable fast casual joint in Penn Quarter), you can fancy yourself a delicious, sit down lunch, away from your inbox. In order of our preference, we noshed on: the tuna with steamed rice, fried egg, onion, puffed quinoa, wasabi soy bowl; the Unagi, with grilled eel, avocado, fried egg,red onion, wasabi soy; and the salmon with steamed rice, onion, avocado, wasabi soy. I will be the first to admit I was skeptical of the grilled eel, but it was meaty, salty, and damn good. 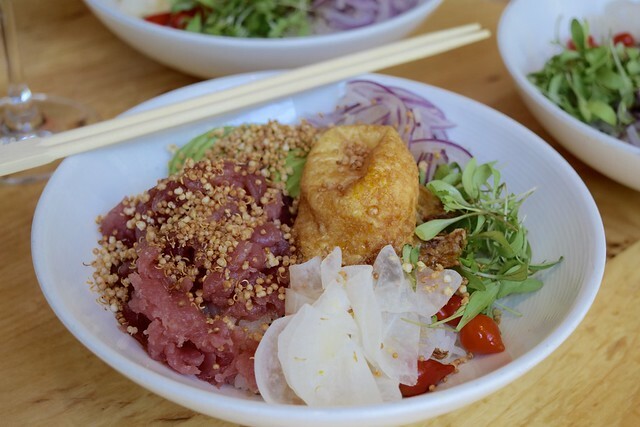 Each bowl was layered with deliciously smooth ingredients that made each bite better than the last—and undoubtedly more eventful than your average salad. The salmon looked better than it tasted. We found this one to be the least flavorful, dare I say dry, bowl of the bunch. We couldn’t believe our eyes when the sanguches arrived and exchanged intimidated looks. We sampled the Huachana style sausage with a fried egg; the Pollo a la Brasa with rotisserie chicken, chimichurri, aji pollero, and shoe string potato; and the Chicharrón with fried pork belly, sweet potato, salsa criolla, hot sauce—again, in descending order of preference. We both learned that we are scarred from a bad experience with pork belly in the past, so that was a minor road bump, however, I took one for the team and tried the Chicarron sandwich. Happy to report that it was delicious and I did not experience any time with the porcelain gods afterwards. Having said that, the fan favorite was the rotisserie chicken for the flavors, the crunchy potato strings, and the chimichurri sauce. 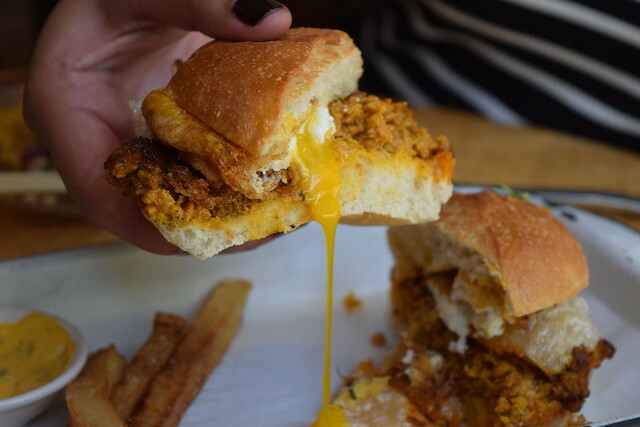 These sandwiches are fun to share or order as your entree. Glass of wine or sangria, because hey, it’s the summer and anything goes! Check out the full, new lunch menu, here.